There seems to be an overlap of text in vote to close dialog in the case of Off topic any option when there is a pre-existing vote from another user on that option. This does not occur if there is 0 votes on the section. This is in latest version of Chrome in Mac OS Sierra. 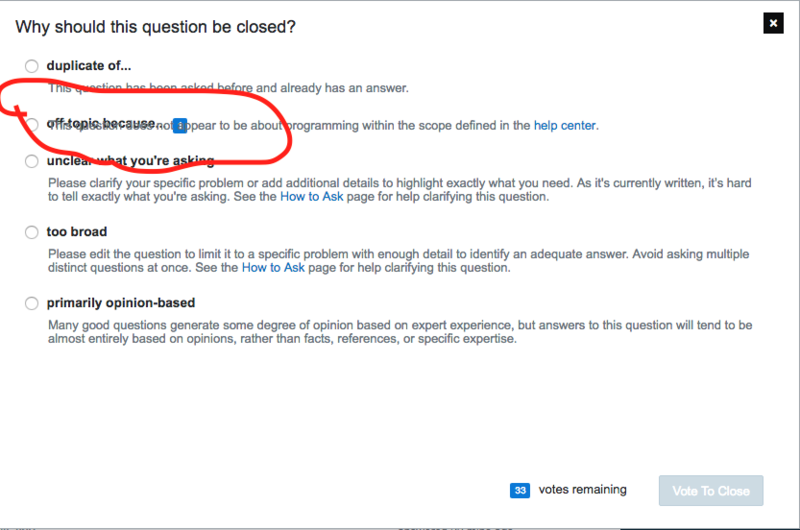 Browse other questions tagged bug status-completed close-dialog .